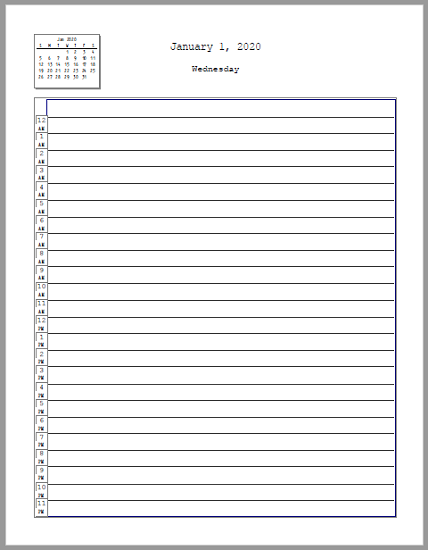 This is a convenient planner for those keeping an untraditional schedule, or tracking items such as sleep or eating patterns. Each of the twenty-four hours of the day is given a line for jotting down notes and plans. In the upper left, you can see the entire month. Click to download/print PDFs: 2017 - 2018 - 2019 - 2020 Click here for more of our free printable calendars and planners.